A Maryland man has been charged with stealing a rental truck that authorities say he wanted to use to kill pedestrians at National Harbor in Maryland, near Washington, D.C.
Federal prosecutors on Monday accused Rondell Henry, 28, of Germantown, Maryland, of planning to carry out the attack. He was arrested March 28 after surveillance video showed him parking and getting out of a U-Haul truck that was reported stolen two days earlier, investigators said. “He said he wanted to carry out a Nice-style attack,” a law enforcement official said, referring to the 2016 truck terror attack that killed 86 people in Nice, France. The Islamic State group claimed credit for that attack, and French authorities said it was an act of jihadist terrorism. “I was just going to keep driving and driving and driving. I wasn’t going to stop,” Henry told the FBI, according to charging papers filed Monday. 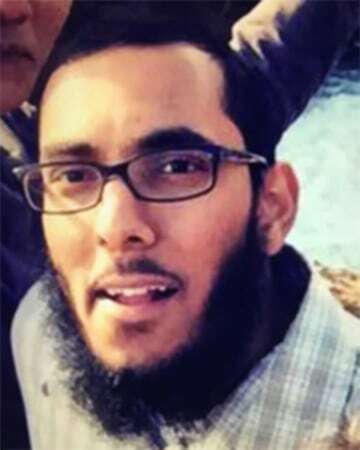 Investigators said Henry, who is a U.S. citizen, harbored hatred for people who are not Muslim and became inspired to commit jihad after watching ISIS propaganda videos. That same day, according to investigators, the U-Haul truck was stolen from a mall parking garage in Alexandria, Virginia. The driver reported seeing a car follow the truck and park a few spaces away. After the truck was stolen, vehicle registration records showed the car was registered to Henry, according to court documents. Prosecutors said that after Henry walked off the job, he drove around looking for a vehicle larger than his car to steal. After spotting the rental truck, he tracked it to its storage location. He stole it and drove to Dulles International Airport in Virginia, but decided security there was too tight. Henry then drove to National Harbor, desiring to create “panic and chaos, the same as what happened in France” and was prepared to die in any attack, court documents say. Deciding he would wait for a larger crowd, he broke into a boat where he hid overnight, the documents allege. But by the following morning, Maryland police had found the U-Haul and were waiting for whoever stole it to return. They arrested Henry when he jumped over a security fence at the boat dock. Henry is due to appear Tuesday for a detention hearing. His court-appointed public defender was not immediately available for comment. The FBI said that after Henry was arrested, he admitted stealing the truck and said he wanted to use it to run over pedestrians at National Harbor.